1852. 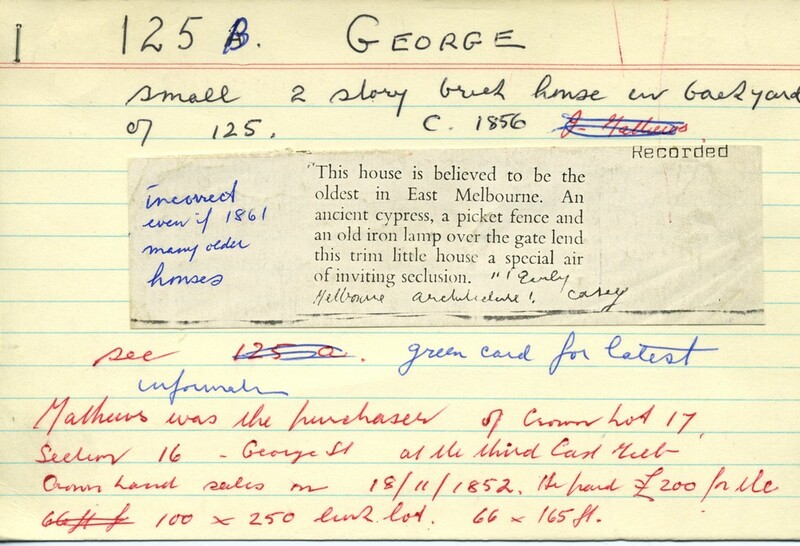 Crown Lot 17, Section 16, George Street purchased by Mathews. (This may not be correct - subsequent entry for 1888c). 1856c. 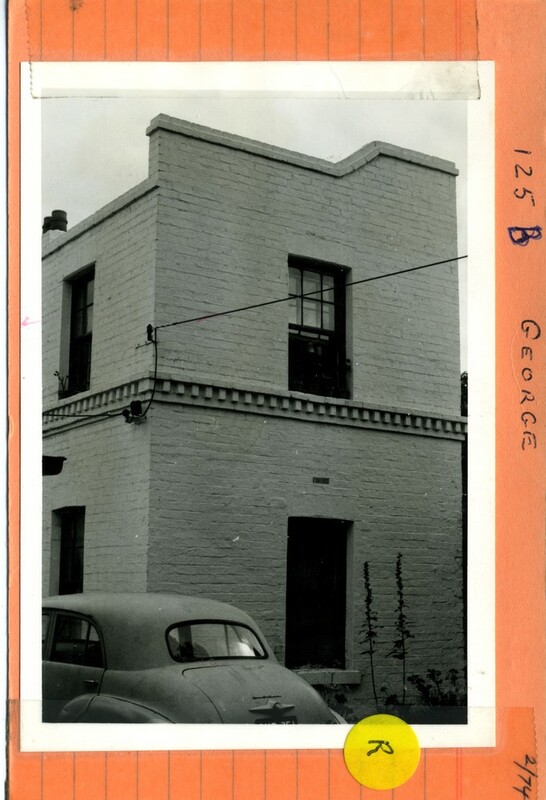 Mention of: Small 2-storey brick house in backyard of No.125 George Street. 1888c. Clayton apparently sold 125a and 125b to Joseph Mathew, who owned Nos. 129 and 135 next door. 1890. Mention made of Edward H. Newing living in cottage No.125b. See No.80 Vale Street. 1897-1918c. 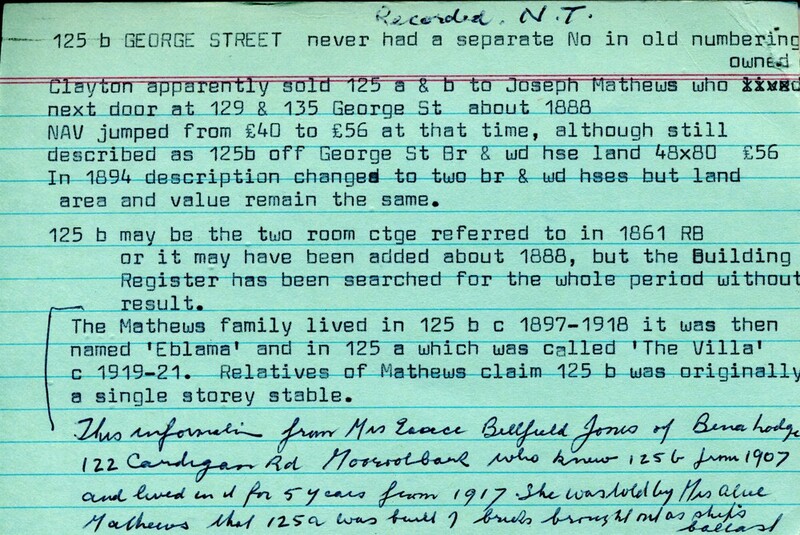 Mathews family lived in 125b, it was then named 'Eblama'. (This based on information from Mrs. Grace Bellfield Jones, who knew 125b from 1907). 1917. Mrs. Jones tells of living here for 5 years. She was told by Mrs. Alice Mathew that 125a was built of bricks brought in as ship's ballast. 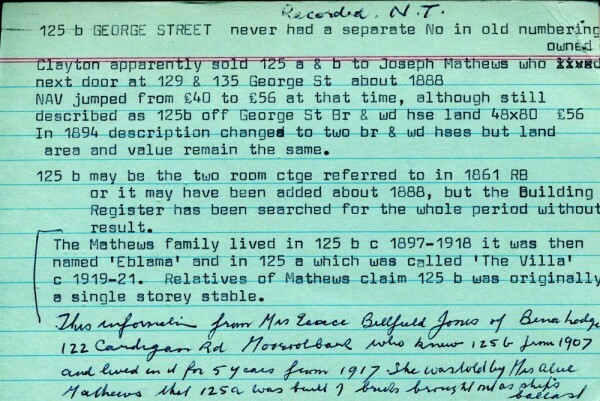 Additional Notes: 125b never had a separate Number in original street numbering. This house has been described as the oldest in East Melbourne. 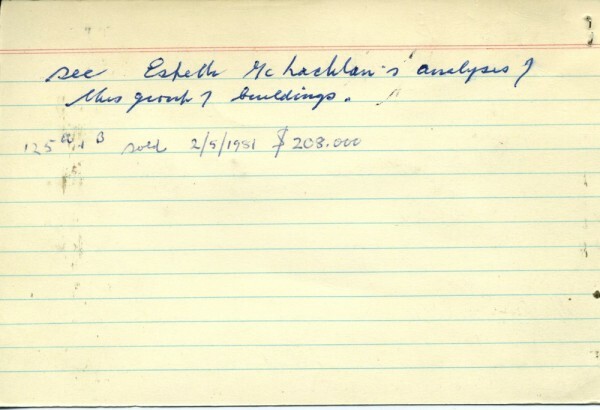 Also refer Estelle McLachlan's analysis of this group of buildings.